Spring is coming but it’s not here yet! Early spring can be deceptive for New Yorkers because some days feel warm and nice but the snow is never far away. It’s important that you continue your pipe freeze prevention tactics until you’re sure that temps won’t fall again. Otherwise, you may need some plumbing repair in Brooklyn before you can use your pipes again. 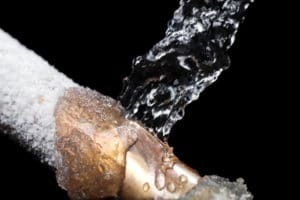 Here are just a few things you can do right now to make sure your pipes don’t freeze. Don’t use your outdoor taps. You may want to wash your car or hose off your driveway, but resist that temptation for a few more months. Using those pipes means that they will have water in them again, and that water can freeze, necessitating piping repair in Brooklyn. If you do use them, make sure you unhook your hoses and drain the pipes again when you’re done. Let your faucets drip a little. When it’s so cold outside, water can freeze even in your indoor pipes. However, moving water is less likely to freeze than standing water is. Keeping your faucets on and letting them trickle water during the cold, cold nights will help ensure pipe freeze prevention. Check your insulation. Even if you checked your home’s insulation before things froze last fall, it’s a good idea to check it again in the spring. Many homeowners are surprised at how fast gaps can develop. These gaps let in freezing air, making a plumbing repair in Brooklyn a necessity. Check your attic, crawl spaces, and anywhere else where plumbing runs. If you are missing insulation, fix it fast. Keep your thermostat turned up. Some homeowners like to turn down the heat at night to save money. However, this can cause your pipes to freeze. Make sure your indoor temp doesn’t go below 55 degrees at night. This should help keep your water flowing, not freezing, all night long. Wrap your pipes. If you haven’t wrapped the pipes most likely to freeze, those on exterior walls or in colder areas like crawl spaces, there’s no time like the present to do so. This extra layer of insulation gives you added protection and another bit of pipe freeze prevention. It’s easy to do and it may mean the difference between costly repairs and spending your money elsewhere. Frozen pipes can be a huge problem, in terms of stress and money. Save yourself the hassle and spend your money on something you like better when you take the time to make sure your pipes are protected. In just a few more months, you won’t have to worry anymore. In the meantime, these tips can save you a huge hassle. If you do find yourself in need of piping repair in Brooklyn, call us at Petri. We would be happy to find your broken pipes and get them fixed so you can get back to your normal life. Call us for your appointment at the first sign of a pipe problem.